SPRINT MIND offers hope that a very achievable blood pressure goal can dramatically alter the trajectory from mild cognitive impairment to dementia, Kristine Yaffe, MD, wrote in an accompanying editorial. But at this point, it’s impossible to make specific clinical recommendations. Additionally it is not possible, right now, to know which hypertension treatment regimens were most effective in improved cognitive outcomes. Nevertheless, the positive secondary findings and the encouraging trajectory on dementia risk should fix blood pressure management squarely into a cornerstone of dementia prevention algorithms. Dr. Kristine Yaffe is professor of psychiatry, neurology and epidemiology and the Roy and Marie Scola Endowed Chair at the University of California, San Francisco. A new iteration of the SPRINT MIND hypertension trial will seek to prove conclusively the original study’s tantalizing suggestion: that intensive blood pressure control decreases the risk of developing mild cognitive impairment (MCI) and, eventually, dementia. SPRINT MIND 2.0 will re-recruit SPRINT MIND subjects and enable another follow-up cognitive assessment and other clinical tests as they remain on their standard of care blood pressure regimen. It is largely funded by an $800,000 grant from the Alzheimer’s Association. Initially released last July at the Alzheimer’s Association International Conference, the results of the SPRINT MIND have now appeared online in JAMA. Although it failed to meet its primary endpoint of reducing dementia incidence, the study did score on two secondary endpoints. Patients who reduced their systolic blood pressure to less than 120 mm Hg were 19% less likely to develop MCI and 17% less likely to be diagnosed with all-cause dementia than were those who achieved a hypertension target of less than 140 mm Hg. The secondary results, and positive movement in the primary results, sparked excitement in the dementia research community last summer. They have suggested that the median 5-year follow-up just wasn’t long enough to show any significant effects on dementia, which can take years to fully manifest. Adding 2 more years with SPRINT MIND 2.0 should be long enough to discern those benefits, if indeed they exist. The study strengthens the new and energetic push to find ways to prevent dementia, which has proven itself intractable in every drug study to date. NIA director Richard J. Hodes, MD, agreed. SPRINT MIND was a substudy of the Systolic Blood Pressure Intervention Trial (SPRINT). It compared two strategies for managing hypertension in older adults. The intensive strategy had a target of less than 120 mm Hg, while standard care had a target of less than 140 mm Hg. SPRINT showed that more intensive blood pressure control produced a 25% reduction in the composite primary composite endpoint of cardiovascular events, stroke, and cardiovascular death. The intensive arm was so successful that SPRINT helped inform the 2017 high blood pressure clinical guidelines from the American Heart Association and American College of Cardiology. The SPRINT MIND substudy, headed by Jeff D. Williamson, MD, of Wake Forest University, Winston-Salem, NC, asked whether intensive management had any effect on probable all-cause dementia or MCI, as well as imaging evidence of changes in white matter lesions and brain volume. It followed patients for up to 7 years and comprised 9,361 SPRINT subjects at least 50 years old (mean, 68 years) with at least one cardiovascular risk factor. Nearly a third (30%) were black, and 10% Hispanic. The primary outcome was incident probable dementia. 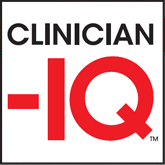 Secondary outcomes were MCI and a composite of MCI and/or probable dementia. About a third had a SBP of 132 mm Hg or less, another third had a systolic pressure of 132-145 mm Hg, and the remainder had a systolic pressure greater than 145 mm Hg. Physicians could use their choice of antihypertensive treatments. The study protocol encouraged, but did not mandate, thiazide-type diuretics as a first-line agent, followed by loop diuretics and beta-adrenergic blockers. Chlorthalidone was encouraged as the primary thiazide-type diuretic, and amlodipine as the preferred calcium-channel blocker. The interventions did successfully control blood pressure, with a significant difference between the treatment groups. The mean SBP was 121.6 mm Hg in the intensive therapy group and 134.8 mm Hg in the standard group – a statistically significant difference of 13.3 mm Hg. Dementia developed in 149 in the aggressive control group and 176 in the standard group – a nonsignificant difference of 17% (hazard ratio, 0.83). MCI developed in 287 in the intensive group and 353 in the standard treatment group. This amounted to a statistically significant 19% reduction. There was also a significant 15% reduction in the composite outcome of MCI or probable dementia in favor of intensive treatment. As evidenced by the Alzheimer’s Association grant, dementia researchers chose to focus on SPRINT MIND’s positive secondary endpoints. At the AAIC meeting, Dr. Williamson even suggested that antihypertensive medications could be seen as disease-modifying agents for cognitive decline. Data support his claim: No dementia intervention yet tested has approached this level of success. SOURCE: Williamson JD et al. JAMA 2019 Jan 28. doi:10.1001/jama.2018.21442.